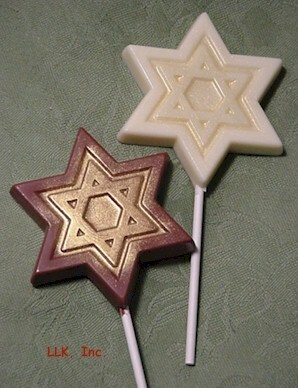 Kosher Chocolates are specified as such. Solid milk chocolate balls are approximately the size of a marble. 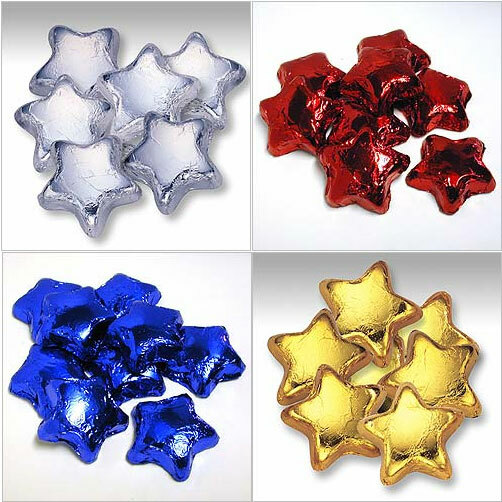 Perfect for environmental meetings, peace rallies, Memorial Day, balloon weights, Earth Day, military graduations, thank you gifts with a global theme, Hanukkah, Jewish holidays, baby boy showers, etc. About 75 pcs. per pound. Kosher OUD. No wholesale. 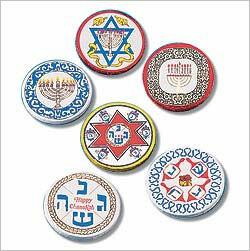 Chanukah Discs- $109.99 Case of 192 pcs. 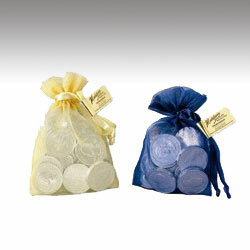 12 Half Dollars Clear Bag - $2.75 12 Half Dollars Organza Bag - $3.75 4 oz Gift Box - $4.65 One Pound Bag- $14.59 Only cases in stock at this time. 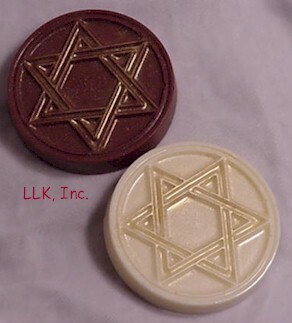 Thick discs with menorah and star of David. Gift Box, tied with ribbon - 3.2 ounces. 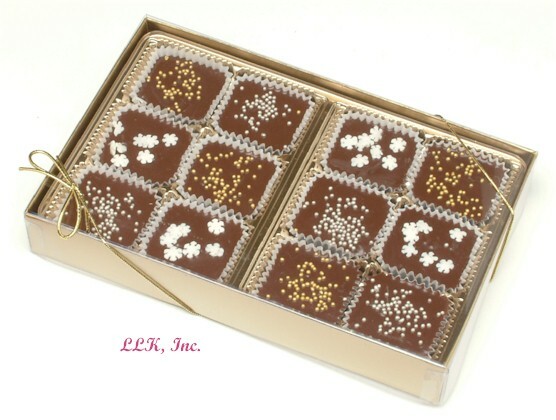 The assorted chocolate selection is only available if you are ordering 6 boxes or more. 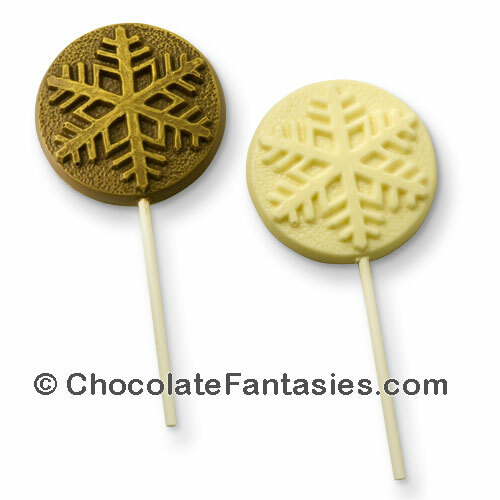 Sprinkled with pearlized snowflakes and tiny gold and silver dragees for a very elegant look. 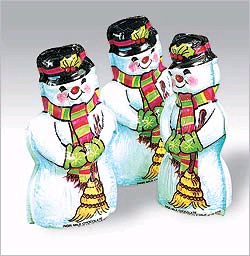 Gift boxed with stretch ribbon - 12 or 6 packs. Plain chocolate or with almonds. Gift boxed with stretch ribbon - 7 ounces. Gift boxed with stretch ribbon - 6 ounces. 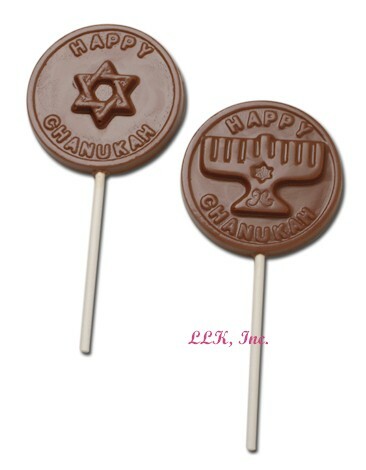 "Happy Chanukah" Lollipop - $3.50 ea. Clear poly bag, tied with ribbon - 1.6 ounces. 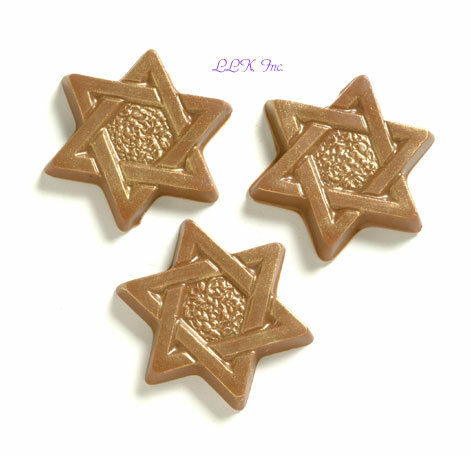 Choose star of David, menorah or both. Brushed with elegant gold or plain. 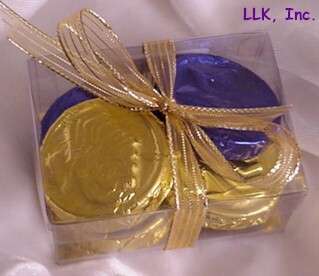 Gift boxed, tied with ribbon, 2 ounces or bulk pounds. 1 3/4 x 1/4 and 50+ pcs/lb approximately. 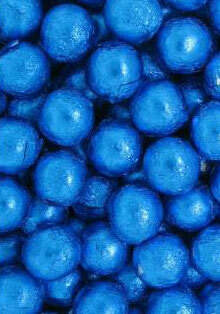 The blue looks great with pearl, ask for it by special order. Clear poly bag, tied with ribbon - .8 ounces - email us if you want a specific side, otherwise, we'll choose for you. 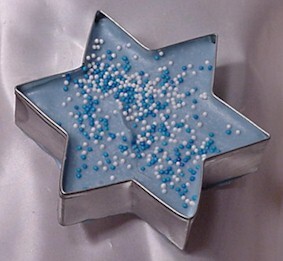 Sprinkled with stars of David & nonpareils, Gift boxed, tied with ribbon or packaged in winter holiday tin. 6 oz. 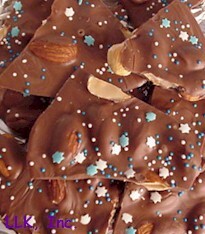 almond bark (picture above), clear poly gift wrapped, tied with ribbon. 10 - 12 oz. 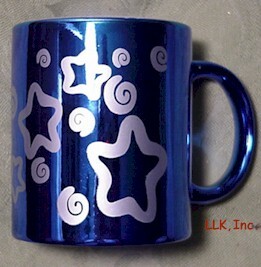 mug may vary from picture, this year we have white snowflakes on a light blue background. 16 oz. mug with 10 oz. goodies of your choice. 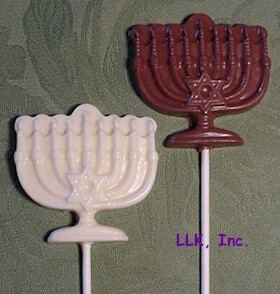 Choose menorah or dreidle (we will substitute if your first choice is out of stock), clear poly gift wrapped, tied with ribbon. 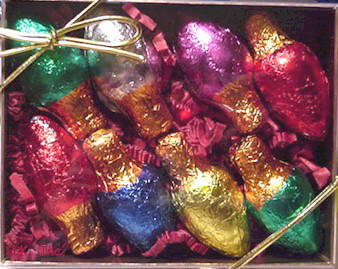 Foil wrapped chocolates are Kosher OUD. Adorable plush pet with 8 oz. goodies of your choice. 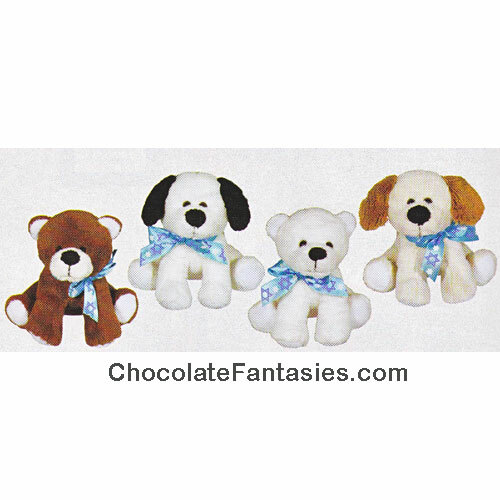 Choose from bears or puppies (we will substitute if your first choice is out of stock), clear poly gift wrapped, tied with ribbon. 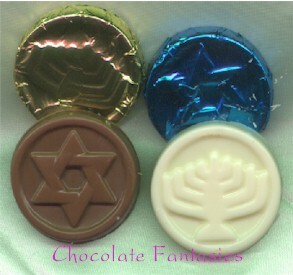 Foil wrapped chocolates are Kosher OUD. 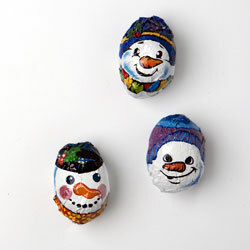 Filled with delicious chocolate and sprinkled with blue and white candies. 4.5 ounces, clear poly bag with ribbon. 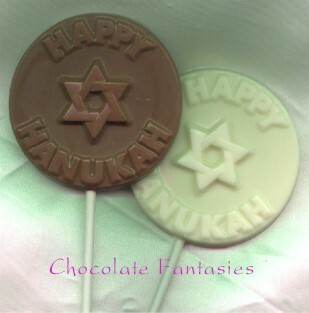 Also available in dreidle by special order of 12 or more. Wrapped in Cello, tied with ribbon - 1.5 ounces. 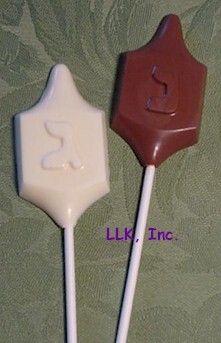 Shown left is milk with gold, right is plain white. 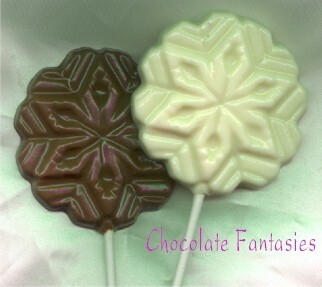 Pearl on dark chocolate has a silvery effect, pearl on white or light blue has a subtle elegance. Medium blue with pearl is very pretty. 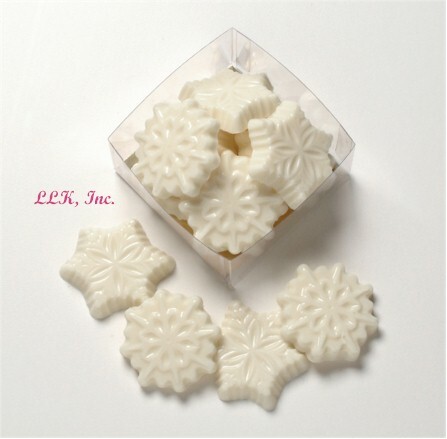 6 little assorted snowflakes in a gift box. 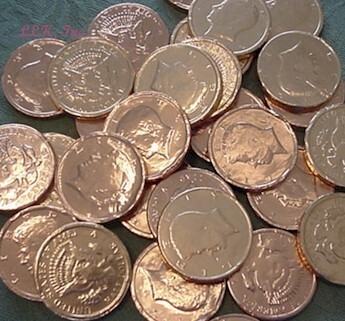 2 ounces, tied with ribbon or bulk packed pounds. A wonderful gift for someone very special! 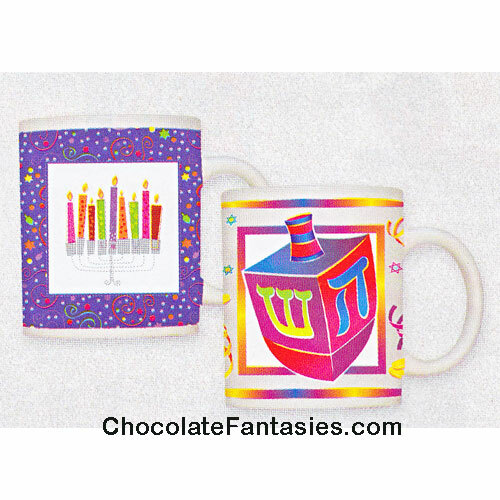 Maybe you can't be with your grandchild this holiday or you're on a business trip and your girlfriend, boyfriend, husband or wife is celebrating the festival of lights without you: This is a great way to remember someone at a great price! 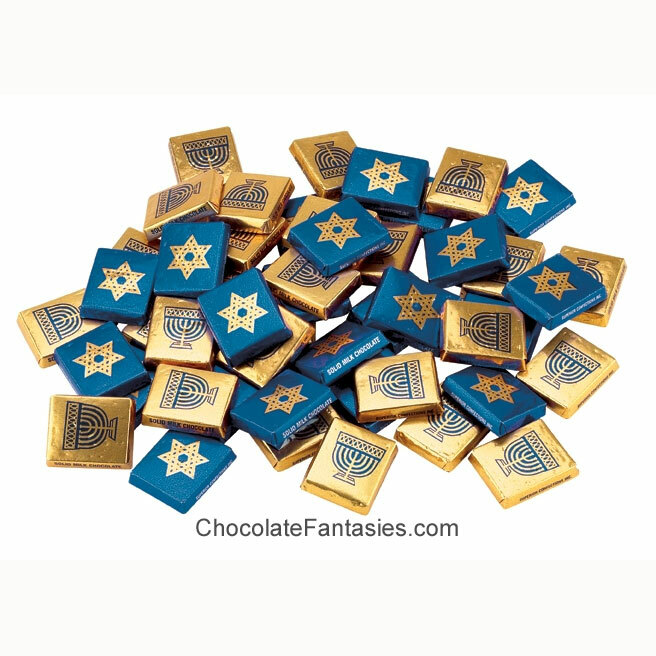 Each day of Hanukkah (no delivery on Sunday), your gift recipient will receive a memorable, tasty and fun treat that is sure to delight and surprise. Kosher OUD is offered if needed.